Join us on Saturday, February 2 from 7:00-9:00 pm in Mustang Hall. 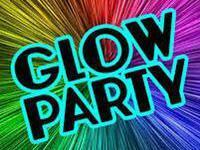 Arroyo students and an adult chaperone will enjoy dancing, snacks, a selfie station, graffiti wall, glow games, a student glow bag with glow swag, and more! Purchase tickets here!